NEW YORK, Oct. 2, 2018 – Following three successful seasons as President of the Women’s National Basketball Association (WNBA), Lisa Borders is stepping down from her position to become the first-ever President and Chief Executive Officer of Time’s Up. 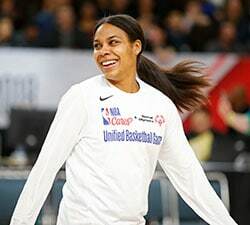 NBA Deputy Commissioner Mark Tatum will oversee the WNBA on an interim basis, and a search for a new league president will commence immediately. Since joining the WNBA in 2016, Borders has accelerated the league’s growth in several key areas. 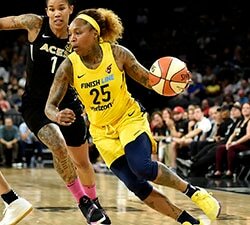 In 2017, the WNBA recorded its highest regular-season attendance in six years and provided new ways for fans to engage with the league through livestreamed games on Twitter and the launch of the WNBA’s first official one-day fantasy game with FanDuel. In addition, a full roster of WNBA teams and players appeared in a video game for the first time in NBA LIVE 18. 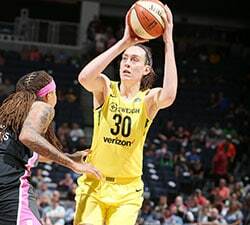 In 2018, the WNBA delivered its most-watched season in four years, with combined viewership across ESPN networks and NBA TV up double digits. 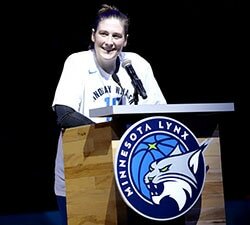 In addition, under Borders’ leadership, the league launched “Take a Seat, Take a Stand,” a program that donates a portion of WNBA ticket proceeds to designated nonprofit organizations committed to empowering women and girls. Borders also played a pivotal role in bringing a WNBA team to the Las Vegas market with the Las Vegas Aces. Time’s Up is an organization that insists on safe, fair and dignified work for women of all kinds. In her new role, Borders will continue the organization’s work to ensure equal opportunity and protection for all working women, seizing this unprecedented moment and transforming it into meaningful and institutionalized change across culture, companies and laws. Prior to joining the WNBA, Borders worked in all three sectors: public, private and non-profit. She served as Chair of the Coca-Cola Foundation and Vice President, Global Community Affairs at The Coca-Cola Company. Borders was also President of the City Council and Vice Mayor of Atlanta, where her duties included managing the legislative branch of government and maintaining the relationship with the Mayor’s office during Mayor Shirley Franklin’s administration. She was also President of the Grady Health Foundation, the fundraising arm of Grady Health System, Georgia’s largest public hospital and metro-Atlanta’s premier level I trauma center where she successfully led a five-year $325 million capital campaign.